If you had been outside Stoke-on-Trent Crown Court on Friday you would have witnessed Michael Coleman playing to the gallery. Just minutes after receiving a suspended eight-month sentence after being convicted of racially-aggravated harrassment, the former BNP city councillor was in full flow. He vowed to continue posting political ‘articles’ (I use that term loosely) to his blog and said he believed it would eventually lead to his imprisonment. Playing the martyr with the assurance of someone who possesses an Equity card, he said he was “a free-born Englishman” who will be damned if he will see hard-won freedoms secured by his forefathers in two world wars taken away. Sadly, all Friday’s sentencing and the previous conviction have done is raised Coleman’s profile and given him a platform for his bizarre views. When the voters of the Potteries did us all a favour by booting out him and his BNP cronies last year, it also starved them of the oxygen of publicity. Now he’s news again. Whereas before a few thousand people may have visited his blog to play ‘spot the spelling mistake’ and raise their eyebrows at his unusual ideas, his prosecution has sadly served to increase visitors to the obscure Stoke Patriot website. Anyone who believes the riots which swept London and other UK cities last summer exemplified ‘the difference in personality, perceptions and values of people of the darker races and ourselves’ is clearly talking nonsense and didn’t read the news reports at the time. Anyone who accuses the city council of overseeing a ‘complete population replacement programme – darkies in, whites out’, is clearly in a very small minority. As well as being plain daft. However, in spite of his repulsive, right-wing views, Michael Coleman’s prosecution was – in my view – misguided and could well do more harm than good. The posts on his blog may be obnoxious but, in spite of the court’s decision, I just can’t see them inciting others to racial harrassment. Frankly, they are more likely to incite someone to reach for a dictionary or the sick bucket. 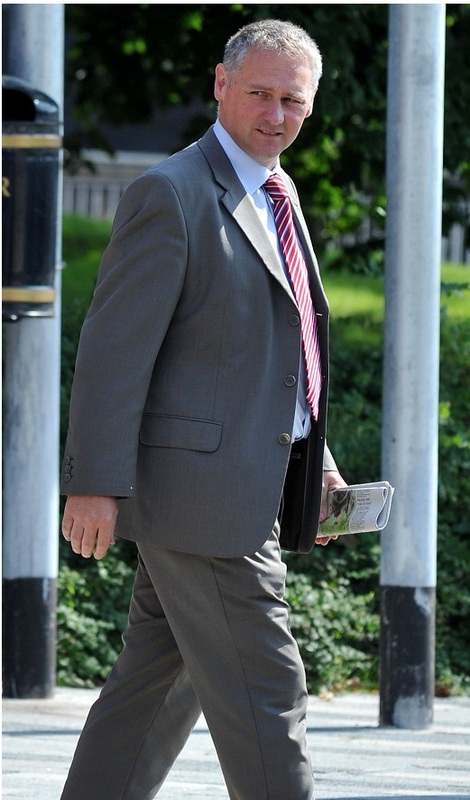 As a result of his suspended sentence, Coleman is barred from standing in a local council election for five years. Given that he was reported to the police by Labour councillor Joy Garner this immediately makes her actions seem politically-motivated, even though I’m sure they weren’t. The bigger problem here is that the internet has given everyone a voice and the policing of blogs and the like is nigh on impossible. If it was right to prosecute Michael Coleman then I would suggest that there but for the grace of God go countless thousands of other individuals who perhaps won’t appear in court because they aren’t on the radar of someone like Mrs Garner. Uncomfortable as it may be for us to admit, I think Coleman is right in one respect: His conviction poses serious questions about our personal freedoms and the right to free speech. Voltaire’s oft-quoted statement: “I may disagree with what you say but I’ll defend to the death your right to say it,” comes to mind here. The fact is we live in a democracy and a free country which is proud of being tolerant and a safe haven for the persecuted and peoples of other races, cultures and creeds. I think our reputation as this bastion of tolerance is being somewhat undermined by the inability of everything from our judicial system to our national sport’s governing bodies to bring some common sense into the racism debate. Different rules and standards seem to be being applied across the board – just take the FA’s kangaroo courts as an example. It seems you get stiffer sentences these days for offending someone on the internet than you do for burgling a person’s home or mugging them in the street. I don’t, in any way, condone or defend Michael Coleman’s bizarre views but I can’t help but feel that – as a society – we should be able to cope with his minority view without resorting to criminal prosecutions. Wrong he may be, but a danger to society who is inciting racial hatred? I don’t think so. Only if you let him. The bigger danger, if you ask me, is the thought police’s propensity to overreact when anyone refuses to spout the vision of Britain being some sort of multi-cultural utopia. I would suggest it is precisely the treatment dished out to Michael Coleman which is likely to get right-thinking people’s backs up and make them wonder whether they may be a point to his ravings.